A woman stands by a tub resting on a counter by a corner of the house. Three are two large wooden below the counter top. 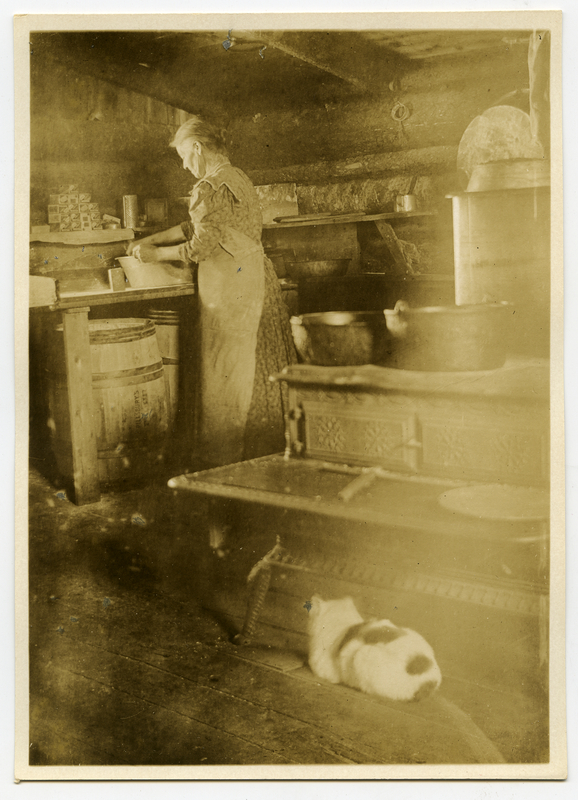 A stove stands in the center of the room, near the camera with some pots resting on it and a cat sitting on the floor nearby. Johnson, Clifton, 1865-1940, “In the camp kitchen,” Digital Amherst, accessed April 23, 2019, http://digitalamherst.org/items/show/3543.